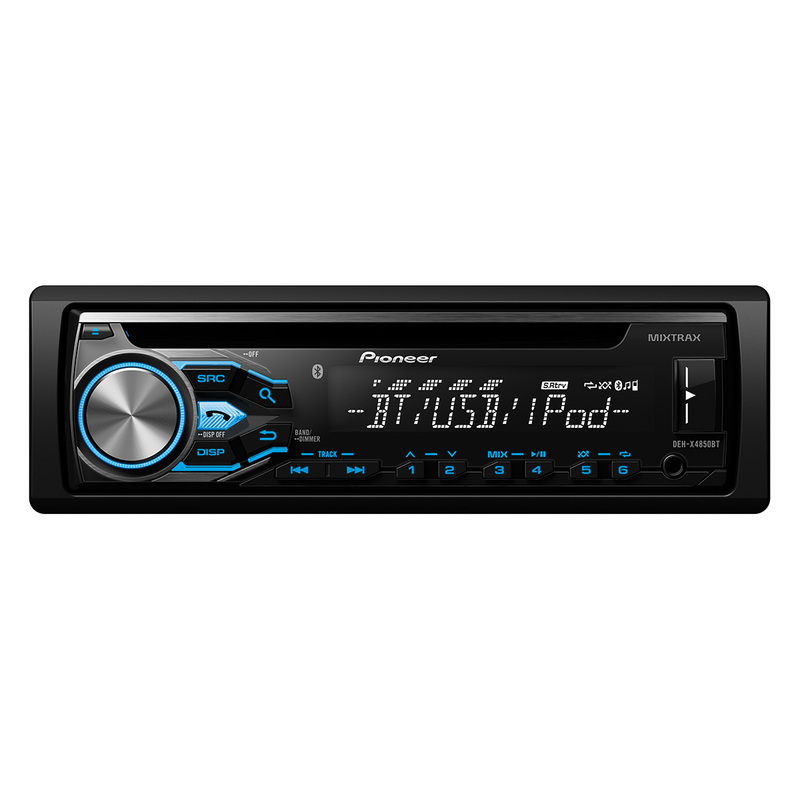 Car Stereo with Dual Bluetooth, Spotify, Smartphone connectivity, Siri Eyes Free & USB. For your safety, this car stereo supports Bluetooth hands-free calling and Siri Eyes Free. This way, iPhone users can use voice commands to ask Siri questions without taking their eyes off the road. 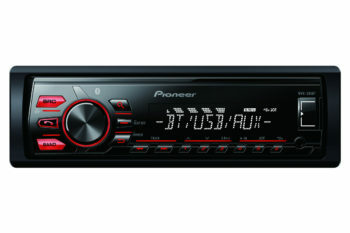 All Bluetooth-enabled Pioneer receivers are equipped to allow up to two phones to be connected simultaneously for hands-free voice calls. 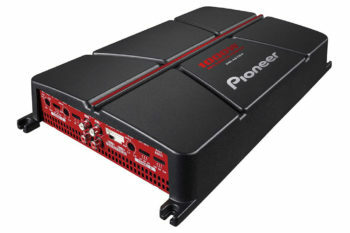 The Pioneer ARC app allows users to access various multimedia sources (radio, third party music apps and even YouTube) via a centralized user interface. Compatible with iOS and Android smartphones. 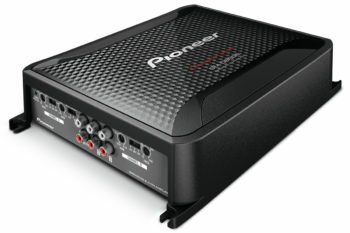 Pioneer’s Advanced Sound Retriever technology improves the sound quality of compressed media files like MP3, WMA files. 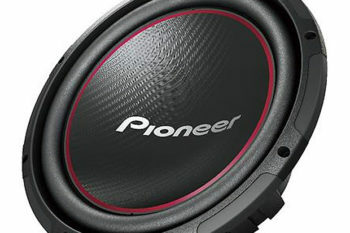 This is done by enhancing high frequencies that tends to get lost in the compression process. 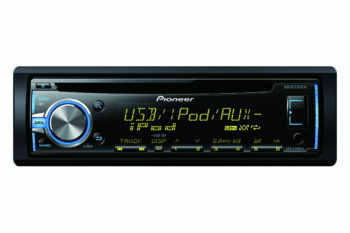 The DEH-X3950BT offers both iPhone and Android support for music playback. iPhone users can also take advantage of Siri® Eyes Free functionality; use voice commands to ask Siri questions to access many iPhone functions such as music selection; making phone calls; and listening to text message, calendar information, and reminders. Love Spotify? 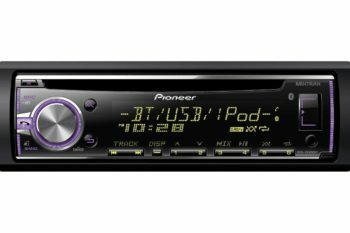 Well it’s now a dedicated A/V source on the DEH-X3950BT, allowing you to directly control content from the Spotify app on iPhone and Android devices, via the headunit’s touch-screen. And – for added volume – the DEH-X3950BT allows you to connect extra audio products thanks to its 2 RCA pre-outs. The DEH-X3950BT is ready to roll with direct connectivity to your iPod or iPhone for music playback via an authentic Apple USB to lightning cable. Powerful tools such as Link Search and Alphabet Search help you find content faster. 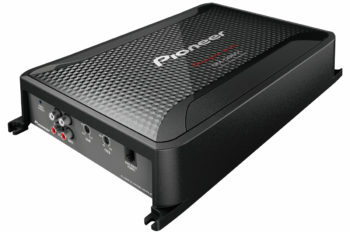 The system’s wired USB connection provides direct digital signal transfer from the device for clean, clear sound, while keeping your iPod or iPhone charged.